James Bachman will be appearing in forthcoming 3D Imax spectacular, Transformers: Age of Extinction. The Ealing Live alumni has a long and glorious history across British comedy, with roles in everything from Saxondale and The Mighty Boosh through to Mount Pleasant and Sorry, I’ve Got No Head. He’s incredibly versatile, of course, as often our regulars are, which may be why he’s been cast in Michael Bay’s latest blockbuster. 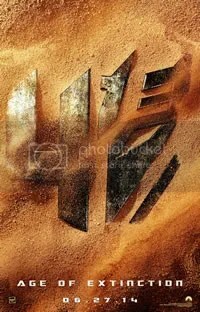 Age of Extinction will be the fourth film in Bay’s version of the Transformers universe, acting as both a sequel to the previous film, Dark of the Moon, and something of a reboot too – replacing original stars Shia LeBouf and John Turtorro with new leads Mark Wahlberg and Kelsey Grammer. Bachman’s character is, like much of the film, mysteriously underwraps, but we can confirm he will be playing someone called Gill Wembley. We’ll no doubt find out more when the film opens in cinemas on June 27th, 2014.